Alaska Airlines has opened its first lounge on the East coast of the USA at John F Kennedy International Airport (JFK) in New York. The Alaska Lounge features multiple seating areas designed with business and leisure travelers in mind. The lounge includes a range of food and beverage offering such as on-site baristas, fresh food, and wide-selection of microbrews, West Coast wines and cocktails from the lounge’s bar. Located on the mezzanine level of terminal 7, the lounge will be available to Alaska guests traveling through or out of the terminal who have purchased a day pass, lounge membership or are flying first class. Brett Catlin, managing director of guest products at Alaska Airlines, said, “We’re always looking to create warm, welcoming experiences for our guests. Our newest Alaska Lounge at JFK reflects the future of our lounge offering – a signature West Coast vibe, unique beverage selections and a focus on fresh, healthy food options. Day passes to the lounge cost US$45, or passengers can elect to become a member. 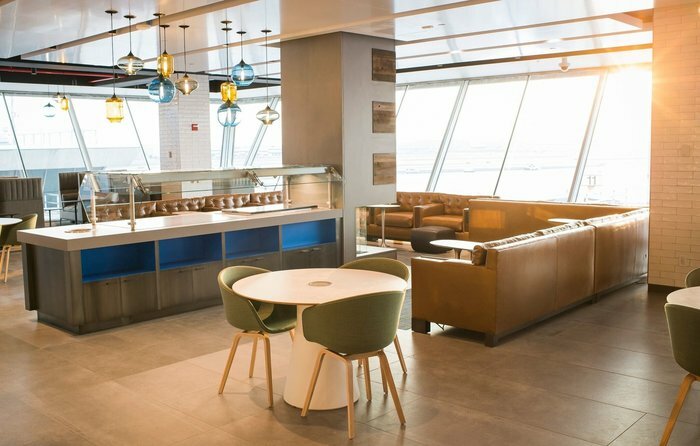 In addition to the new lounge at JFK, Alaska Lounge membership provides access to over 90 airport lounges worldwide in cities including Chicago, Illinois; London, UK; Tokyo, Japan; Sydney, Australia; and Paris, France.